The Vespa GTS 300 Super is another affordable motorcycle you can buy in 2018. Note that the did say is it a motorcycle and for a very simple reason. 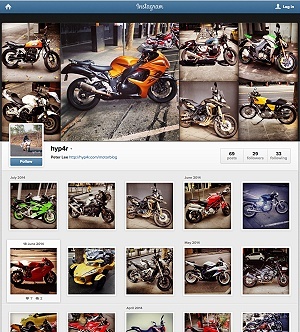 We all call certain styles of motorcycle by a class name, Cruiser motorcycle, Super Sports motorcycle and so forth. Each of the different classes are quite different visually. So as far as I’m concerned in 2018, this belongs to the Scooter motorcycle class. The Vespa GTS 300 Super is priced around $9500 AUD which is expensive for a scooter but reasonable for the LAMS due to it’s performance. Regardless of classification is the Vespa GTS 300 a special motorcycle? In terms of brand recognition Vespa is arguably one of most recognisable. Everyone knows basically what it means, even in the US. Vespa is always described as a Scooter, small engine, iconic design and Italian. Of cause the company name is actually called Piaggio so Piaggio Vespa GTS 300 is the model’s full name. Now how did I end up picking the GTS 300 as the model to feature? read on. There are many different models in the Vespa model range, from the entry level Sprint to the top range 946. The engines are the main differentiation between the various models, ranging from 50cc , 125cc 150cc and 300cc. The GTS 300 is basically the top end model in terms of engine capacity but not in price. The GTS 300 is design is iconic and I liken it to the Porchse 911. While the Vespa GTS design is not a replica for the original, it resembles the original having to be updated for the sake of modernity and design rules. Although updated it still has all the Vespa utility. The underseat storage is still there and the front ‘glove box’ now has USB charging. In terms of tech specs, it has the traditional suspension setup, powerful single cylinder engine. Relative light weight to the engine the GTS 300 means that it is just as fast as regular 250-300c motorcycles. These tiny wheels means it powers off quicker too albeit hampered by the CVT. If 300cc is too much for you then you can the get the identical look in the 150cc version. 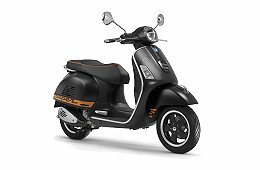 The Vespa GTS 300 is definitely a special motorcycle because not only is it LAMS compatible so anyone one ride one, it looks good, easy way to attract a date, iconic and it’s fast. Combined with a relatively cheap price for the the brand, performance, everyday usability the 300 GTS in particular is a great choice. However there is one flaw and that is perception, enjoying icon status it is boxed in as a strictly city ride and percieved slowness. Of course the GTS 300 transcends that and hence a special scooter motorcycle.